GUELPH, Ontario – Transportation to and from school, for students who qualify, is provided by the Wellington-Dufferin Student Transportation Services/Services de transport de Wellington-Dufferin (STWDSTS). 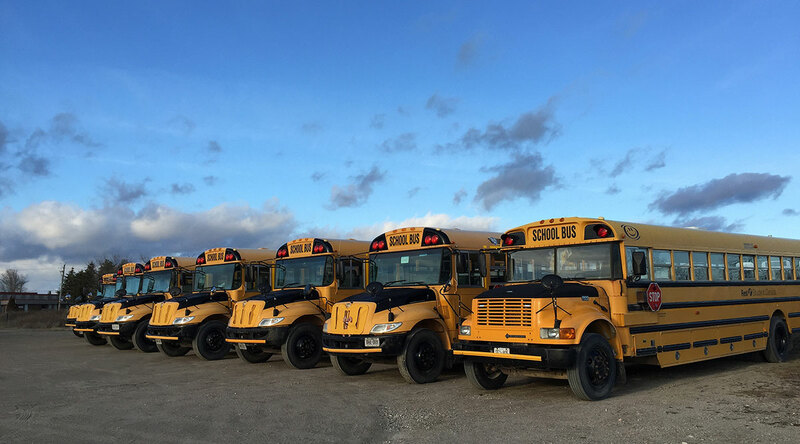 STWDSTS provides transportation for all five school boards in Wellington and Dufferin counties. For more information about STWDSTS, please visit their website. Are you qualified for transportation? Visit www.findmyschool.ca to determine transportation eligibility for any residential address in the district. To learn more about transportation and STWDSTS, visit http://www.stwdsts.ca/ or call 519-824-4119 for assistance. There may be times during the school year when it is necessary to cancel student transportation services due to bad weather. STWDSTS has inclement weather procedures for school buses, which are common for all five school boards in the Wellington-Dufferin region. The STWDSTS website contains the most up-to-date information on school bus delays and cancellations. STWDSTS will post information on bus cancellations on their website by 6:30 a.m. each morning. Cancellations will also be posted on Twitter @stwdsts. Please note that the Upper Grand DSB does not post to the board website or on social media about bus cancellations. Parents/guardians and students can sign up online to receive email alerts when their bus is delayed or cancelled. Sign up using the STWDSTS Subscription Service. Bus delays are also posted online. For more information about inclement weather and bus cancellations, please visit the board website.